To learn more about the interests and accomplishments of diverse scientists and engineers, and how people with varied backgrounds contribute to and depend on the advancement of science and technology, visit the links below. Dr. Hong is a environmental engineer whose current research focuses on developing clean technology for oils sands extraction. He has received four patents for his development of treatment processes for contaminated water and soil. Chemist Richards was the first woman admitted to the Massachusetts Institute of Technology (MIT), and later pioneered work in the field of sanitary engineering, a branch of engineering focused on maintaining public health (such as a clean water supply and proper waste disposal). In 1999, Dr. Verma went to court to become India’s first female mining engineer. She is interested in developing more efficient methods for mineral extraction from deep underground. Biochemist Dr. Armstrong works with a team of scientists to develop new technologies for use in oilfield technology, such as engineering enzymes for use in hydraulic fracturing (fracking). View additional natural resources in this photo gallery of rocks, minerals, and gemstones on display at the Smithsonian Museum of Natural History. The U.S. Energy Information Administration provides facts, maps, and images about nonrenewable and renewable energy sources. Learn more about fossil fuels as well solar, wind, and geothermal energy. 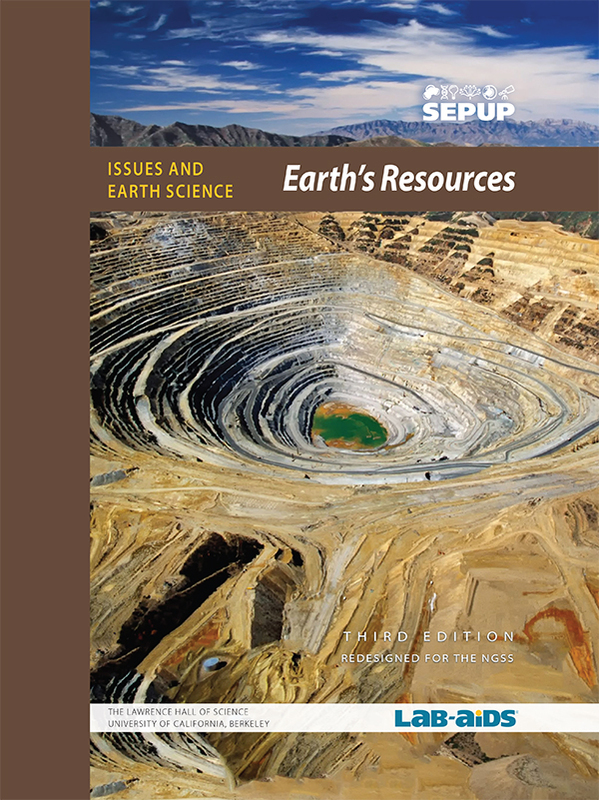 Find photos and other information about natural resources such as coal and salt. Click on other links, such as “Where do Earth’s riches come from?,” to find more images. Visit the U.S. Census Bureau site to view continuously updating data on the United States and world populations. Press “play” on this link to investigate how the use of per capita energy consumption has changed since 1960. Select other options to investigate other per capita data. The site is authored by Gapminder, a Swedish foundation. Find featured data sets on topics such as water and forests. Download a pdf to read a factsheet and see more detailed maps. Find information about U.S. groundwater and drinking water from the EPA. The American Society of Civil Engineers describes and rates the infrastructure that delivers drinking water. Go to the “State by State” section to find out more about your state. Science Daily provides information on fossil research, including fossil discoveries. Check out the latest headlines, news summaries, and in-depth articles. LiveScience has articles and pictures of fossils as well as recent fossil news. Search for articles that include video segments of fossils. News about fossils, including commentary and archival articles published in The New York Times. Scroll through recent headlines that include a photo and a short summary. In 2007, LiveScience described how experimental technology is being investigated to solve issues related to energy consumption, water use, and waste production. Find out more by viewing this slideshow. In 2017, the World Economic Forum highlighted possible solutions to the world’s increasing resource needs. Find out how technology could help with energy, transportation, food production, and more. This 2017 NPR story takes a look at how California farmers are experimenting with refilling aquifers. Check out how they are using rainwater to solve this problem. This 2015 Guardian article lists some of the new technologies being used to reduce the environmental impact of mining. Find out why these approaches are more common today than in the past.